Did you know that people who wrote down five things they are thankful for once a week felt not only happier but healthier? (According to a study done in the Journal of Personality and Social Psychology.) Counting your blessings helps you empathize, too. When you do this - you'll focus on what really matters! House sitting & dog sitting three dogs for two weeks! We're moving on in for a couple of weeks to a house with a pool & jacuzzi...warm weather, please! Having Saturday AND Sunday off...woohoo, a "real" weekend! A friend bringing some delicious homemade Indian food to work. I've been craving it lately - we had a conversation a couple weeks ago about it and he brought me some right out of the oven/stove! So delicious. Finding a new delicious protein powder - cinnamon roll flavor, too. Super delicious in chocolate almond milk! Praise Jesus that my sister was safe & out of harm's way in a car accident last night. GOD IS GOOD. He was definitely with her last night. What are you thankful for?! I love this! I meant to put one thing I was thankful for on my blog each day but I keep forgetting. Oops! Oh lovely re stranger compliments! I love the information you gave about writing our thankfuls down at least once a week and what difference it is and how it makes us happier. That is so cool! Gotta love friends who listen when you talk and then act on what you say ! How cool a total stranger told you you looked beautiful - I am always happy when my husband tells me although I do think he needs to get his eyes tested !! Popped over from Thankful Thursday. You rock it girl! :) Coming to link up with you today! Have a wonderful weekend!! I had heard the "focus on what really matters" part before but not really the research part of it interesting little tidbit there Cami. ooooh! i hope you get nice weather these next 2 weeks... that hot tub sounds great right now! 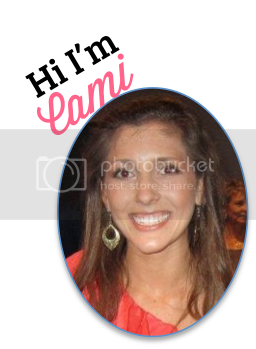 Hi Cami, This is so great. I'm going to post your gadget on my sidebar....hope you are enjoying life in sunny Palm Coast...Flagler Beach, you blessed girl. My parents are there right now. They have a vacation home in Flagler. Isn't that fun to get unexpected comments from people now and then? I've always wanted to try Indian food. Nel just loves it. I'm so glad you're sister is safe. Yes, God is good. I can't tell you how much you look like me in that picture, "Hi, I'm Cami"...a younger me of course hehehe Oh, I didn't try the Pomegranate wine, but it sure looks good. a pool AND a jacuzzi?!?! Jealous!!! :) Great list this week!!! Mmm Indian food sounds YUM! And have a great time house/dog sitting :) <3 you! The pup you are watching is so cute! How wonderful you get the bonus of a pool and jacuzzi! Happy to hear your sister is okay! I'm sorry she was in an accident! enjoy your weekend off, lovely lady! !